Living in a small(ish) city in the Midwest, there are plenty of cool stores that we just don't have near us. UNIQLO is one of those stores. I had previously heard of UNIQLO. I remember seeing the storefront while visiting my family in L.A. But otherwise, I wasn't completely familiar with the brand until they reached out to see if I would be interested in styling a few of their pieces. I have learned over the years to accept collaborations only after careful thought and research because I want to make sure that: 1.It's something that I am (and by extension, you are) interested in. 2.I have time to make good on the collab. So I checked out their site and was pleasantly surprised to find that they offered a lot of great basics and other fun pieces in gorgeous colors. Think Gap meets Banana Republic, meets JCrew, meets LOFT. The prices were fantastic too. I e-mailed back and so began the creation of the look below. Other than loving every piece that I received, the thing that I was most impressed with was the quality of the clothes (especially for the price!). I fell particularly hard for the chambray button down and the sweater. The material felt thick (but not heavy), luxurious, and extremely well-made. I also loved the comfort and fit of the boyfriend jeans and the cute cuff detail on the blazer. 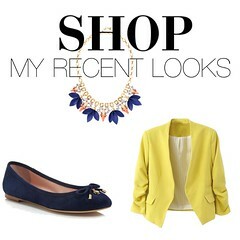 This post was created in collaboration with UNIQLO & Shopstyle. 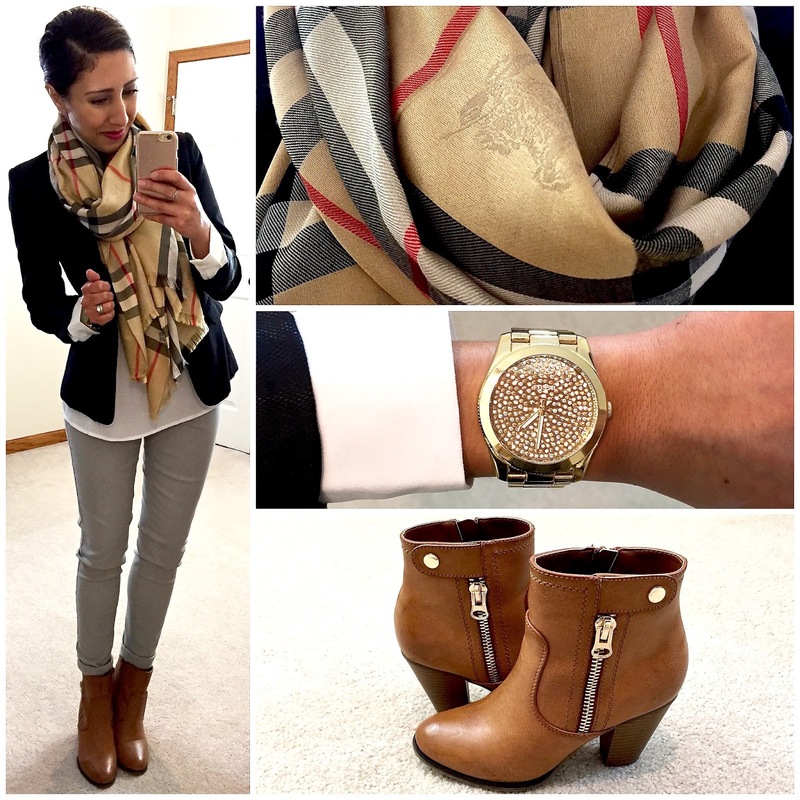 Burberry plaid print scarf: gift from Mom <3 | Love these ones 1, 2, 3, 4 | And of course LOVE this one! Have you ever tried on a dress and realized that it has pockets, and when you found them it makes you love the dress even more? 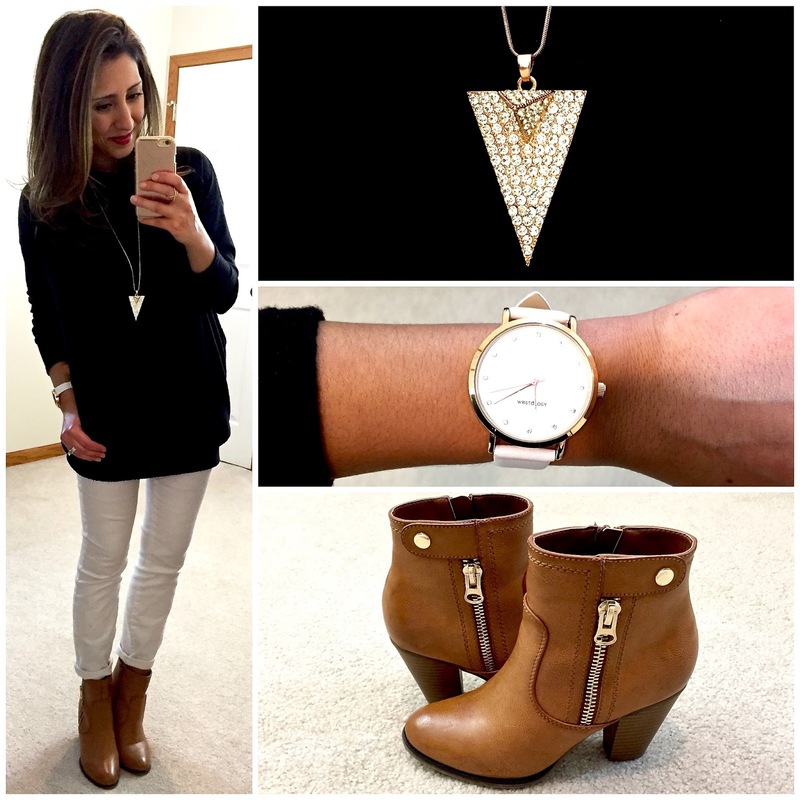 Well, the same thing happened to me with this fab sweater from Catch Bliss Boutique. Well, for one, it's the softest thing you've ever felt and it hangs really well. And, two, it has POCKETS! What's not to love?! My All-Time Favorite Work Pant. 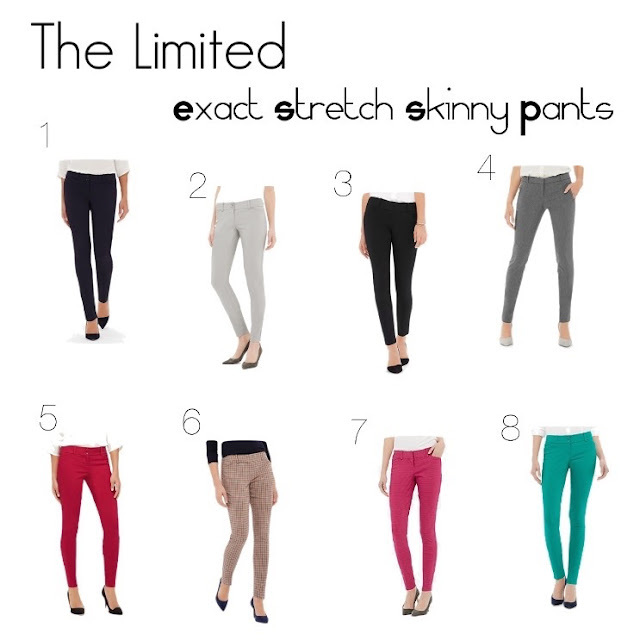 If I could create the perfect skinny pant for work from scratch, I wouldn't have to. That's because The Limited has already made them (and is selling them by the boatload, I'm sure). As I mentioned in my last post, I discovered these pants a few years ago and fell hard and fast in love. I'm pretty short (5'2") and have a small frame. But thanks to my Persian genes and body, I don't have a straight up and down stick figure body type. (Don't let the outfit pics fool you. I use a $5 mirror that I'm pretty sure lengthens my body in the pics. Plus I try to dress my figure so that everything fits well and looks lean and balanced.) Basically what I'm saying is that even though I'm petite, I have curves. And it's important to me that my clothes work with my figure, not the other way around. But back to the point of this post: I really like the look of skinny pants for work. I think they can look more modern than regular wide-legged slacks and they are perfect for tucking into work-appropriate boots (important for those of us living in areas with cooler weather!). Given that I am fond of skinny dress pants, I have tried on my fair share of different brands. And, without fail, I always come back to the Limited Exact Stretch skinnies. The material is thick enough so that it covers any lumps and bumps, but it's not heavy. They also don't wrinkle very easily, which is awesome. The best part of these pants is that they are fitted, but they are very forgiving and feel like they are actually made for a real woman's body, not a manikin. Imagine that! Generally, I wear the Regular length. But, they also offer them in Petite and Tall on their website. I do own a couple pairs of these pants in Petite. But I have found that the Regular length fits me better in the crotch area (is there a more appropriate way to say this???! Sorry for the TMI.). If I want to go for a more 'ankle length' look, I just cuff the bottom of my Regular length Exact Stretch pants. More recently these pants are also being offered in a 'high waist' option. I will be 100% honest with you and say that I tried them on and was horrified with four out of the five high-waist ones that I tried on. They just did not hit me in the right places. Their pockets were different than the regular Exact Stretch Skinny Pants (more on the sides of my thighs) and they made me look like I had saddle bags. I did, however, end up keeping this high-waist pair in cobalt blue. I have no clue why the blue ones fit well and the other ones didn't. But, I'm not going to question it because they're a really pretty color and I already took the tags off. Ha. Overall, the Exact Stretch Skinny Pants are a great fit, the material in fabulous, they come in a variety of colors and patterns, and they last FOREVER. Seriously, I still consistently wear the first pair I ever bought. They are black. And we all know that black pants have a tendency to fade over time. These babies have not faded and they've kept their shape. Although I will note that I dry clean all of my work pants, skirts, and blazers. So I think that definitely adds to their lifespan. Anyway, if you already own these pants you know exactly what I'm talking about. They are heaven-sent. If you haven't tried them, do yourself a favor and check them out. I own way too many of them to count and my collection just keeps on growing (see the damage from last week: blue, grey, turquoise, & orange (sold out)). And this confession would be a little embarrassing if only they weren't so ridiculously AWESOME. Blazer + Skinny Dress Pants. I'm a sucker for a great skinny pant and blazer combo. Ever since I bought my first pair of skinnies, I've been completely hooked. And things only got better when I discovered THE perfect dressy skinny pants at The Limited five or six years ago (more to come on these pants later on this week!). 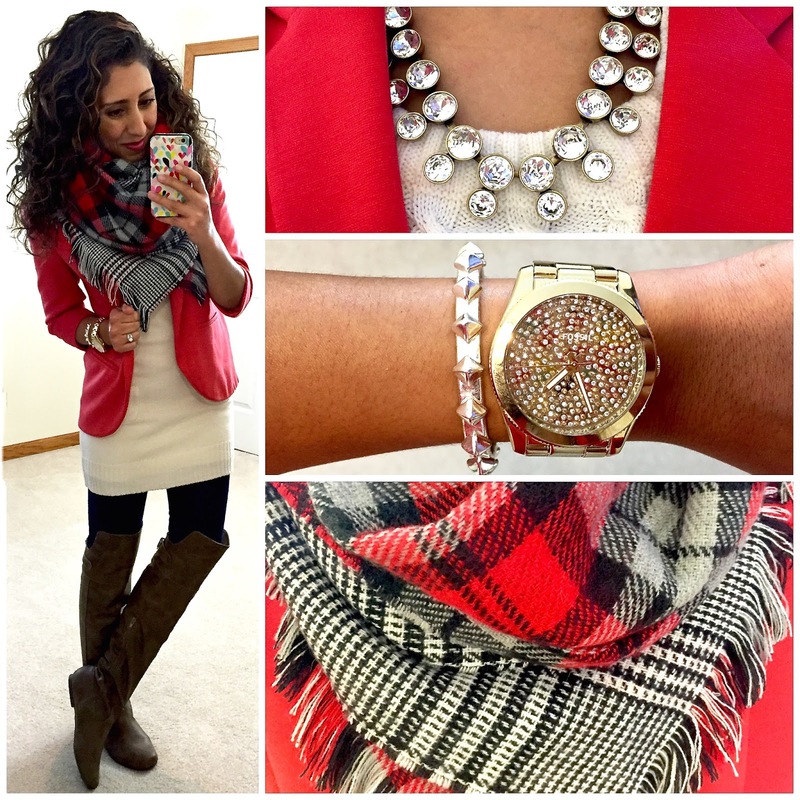 Throw on a blazer and a fun scarf, and voilá! You're well on your way to stylish and professional. Just as in the last one, I can't begin this post without thanking you for being so warm and full of love. I will never be able to fully express how much it has meant to me and how incredibly grateful I am. I am not one for sharing deeply personal things on here. (After all, this is a style blog.) However, it was becoming increasingly hard for me to get over the hurdle of posting about something fun like fashion when something so tragic wasn't yet properly addressed. 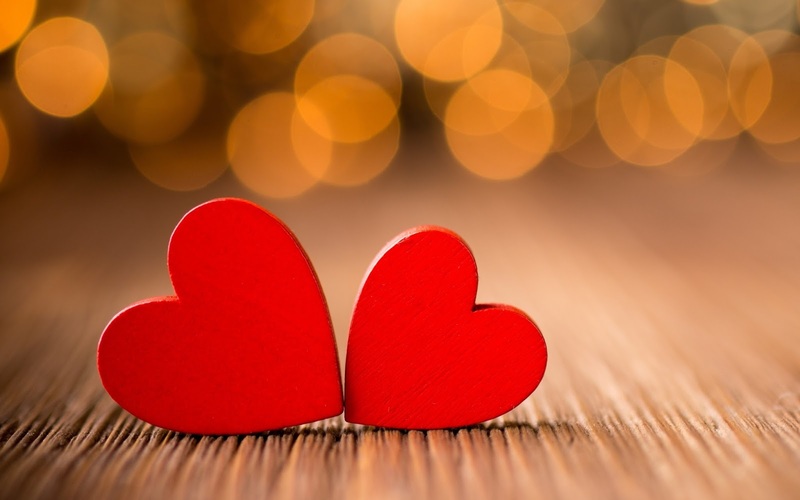 So, thank you for allowing me to open up about the gigantic pink elephant in the room so that I could get back to the fun parts of this little blog. You continue to be the absolute best. With that said, what's more versatile, but still appropriate for Valentine's Day than a fire engine red blazer?! To answer your questions: I'm okay! I'm doing much better than I was a few weeks ago. (For those who don't know: I suffered a miscarriage followed by a D&C. I didn't post about it on here. But I briefly talked about it on my Instagram account.) Thankfully, I've been very busy at work. Which I'm grateful for because it has helped keep my mind off things. And not entirely intentionally, I ended up taking a few weeks off my blog and IG. Without making it sound overly dramatic, every small step that I've taken has felt like a victory. The first two weeks after my MC my only goal was to get out of bed every morning and go to work. That's it. I was incredibly sad and overwhelmed with everything. So, facing the world every day even though I felt like a zombie inside seemed like a gargantuan task. The fluctuating hormones definitely didn't help either. I spent those first couple of weeks as a useless lump on the couch, completely enveloped in grief. John, my husband, went into superhero mode and somehow kept life chugging along for the both of us. I truly believe that if it wasn't for him, our families, our incredibly thoughtful friends and neighbors, and my understanding boss and co-workers, I would probably still be in that place. The last couple of weeks have been better and I have felt like I've been getting closer to a version of me that existed before all of this. I haven't really done anything more than going to work and running a few errands here and there. But I am able to feel happiness again. I am laughing again. I've stopped crying every time I think about it. This week I even got back to my normal gym routine, which was a huge step for me. I missed all my friends and missed feeling strong. Time, love, and being given the space to just BE has tremendously helped. Four weeks ago I truly thought that I would never feel normal again. But every day I feel more and more like myself. I'm not quite there yet, but I'm grateful for where I am today compared to then. John and I are even planning a trip to get away from it all for a few days. And after feeling like the bottom completely fell out from under us, it's nice to be able to look forward to something happy and tangible in the near future. So, thank you thank you thank you for all of your love and positive energy. And thank you for hanging around here even though posting has been sparse. I have a number of things planned for the blog. So there's lots to look forward to!